I love to encourage folks and try hard to promote simple and easy things you can say or do to encourage others. I’ve found no better way to encourage myself than to be purposeful about encouraging someone else. 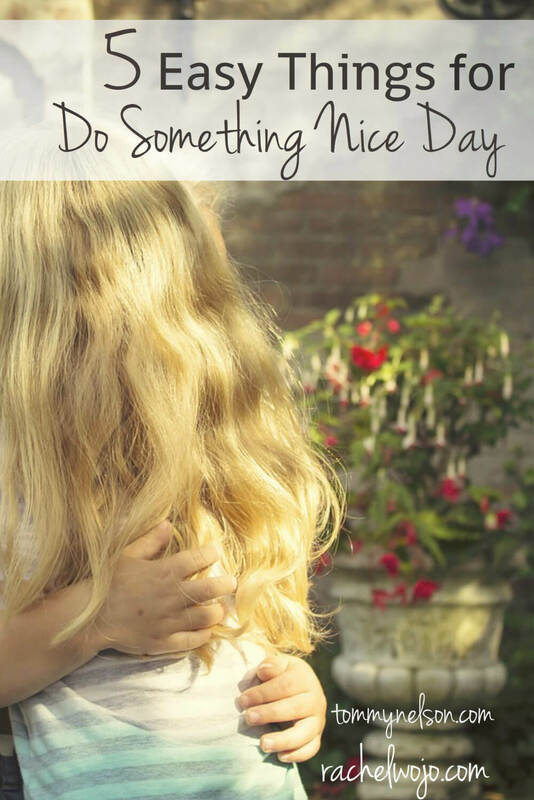 So to spark this busy Monday into motivation for the entire week, below you will find 5 easy things for Do Something Nice Day. This entry was posted in Uncategorized by Rachel Wojo. Bookmark the permalink.